As a landlord, I would love to keep tenants in my properties forever. While some stay a long time, most eventually leave – either by personal choice or through an eviction – to seek housing elsewhere. Whenever that time comes it’s the landlord’s responsibility conduct some home maintenance and get the unit ready for the new tenant. Turning a rental house around for the new tenants can be a time consuming and financially draining time. Hopefully, as a conscientious landlord, you’ve kept track of what is going on at the property and have a good idea of what to expect in terms of potential home maintenance. There really shouldn’t be any surprises, but it seems like there always are. Because even minor renovations will cost money and require time to complete, some landlords choose to skimp on or refuse to complete repairs. I disagree with this philosophy. As much as possible, I want the property to be in pristine condition for the new tenants so that our relationship begins on the right foot. They need to know that I’m a landlord who prides myself in the condition of the unit and wants to treat them well. Hopefully this pride will bleed into the tenant’s minds and they will in turn do their best to keep the property as clean and damage free as can be expected. 1. Deep cleaning the residence. This should really be the first step. A thorough deep cleaning of the house will help identify any other issues that need to be addressed. As you can see, this list is quite exhaustive. If time does not permit you as the landlord to commit to this level of cleaning, consider hiring a cleaning service like Merry Maids for the task. It will be worth the investment to save time and have the unit looking clean again. The ideal time to patch and repaint walls is of course between tenants because the house is free from furniture. More than likely the walls will contain dings and dents that have happened just from simple everyday living. They need to be looking as nice as possible when you show the property to new prospects. A prospective tenant will appreciate the new paint smell and look. Remember, it shows them you care about the property. When repainting, choose your paint wisely. I’d suggest using an eggshell, satin or semi-gloss paint depending on the look you desire and the room in which the painting is occurring. These finishes of paint allow for some cleaning of the walls to take place, which may defer the need to repaint if the tenant has only lived there for a short time. Flat-based paints are more difficult, if not impossible to clean. And don’t forget to save your leftover paint or, if you don’t have any, the paint color chip from the retailer so you can have an exact paint match for future touch ups. Those pet odors, coffee stains and nail polish spills are going to look real ugly to a prospective tenant. They have to come up. If they can’t through your own cleaning or the work of a professional carpet cleaning company, then tear out the carpet and replace it. This can be very frustrating in that the bad sections of carpeting may be in only one room. It may be possible to only replace that room if the exact match/style of carpet is still on the market. More than likely it will require replacing all the carpet just to keep a consistency of look throughout the unit. Because of the need to replace carpet so often, we have gone to purchasing cheaper carpets rather than the high end ones a person might put in their home and expect to last for 10-15 years with proper care. A plumbing issue has come up with every post-inspection I’ve done with a tenant who is leaving. A leaky faucet…a dripping shower head…clogged pipes…you name it, I’ve heard it. So inspect all plumbing fixtures, drainage pipes, toilet tanks and exterior hose outlets during the turnover time. Plumbing can be tricky at times, so be realistic about your own skill to complete a project. I would consider this an ideal time to call in a professional for these repairs if there is a major issue. In our rental agreements, we expect the tenant to take care of the mowing and general landscaping while they live in the property. For the most part they do but again, they don’t take care of the property like it was their own. Generally speaking, the landscaping appeal will degrade a little bit while they occupy the residence. So be ready to mow and edge the yard, trim all bushes, weed flowerbeds, and put down mulch or other ground cover. Also look to trim trees that may have overgrown onto the house or on wires running to the house. Clean out gutters, brush away cobwebs and other insect nests on the perimeter of the house, and clear any yard debris. Remember, the exterior of the property will be the first thing the prospective tenant sees. We want beautiful curb appeal the minute they pull in the driveway. In order to have success as landlord, treat this endeavor like a business. And as any good businessman would say, a secret to success is saving up stores of cash to have on hand for general operating procedures and in case of emergencies. The turnaround time between tenants is the most expensive and time-consuming period you will encounter as a landlord. It’s wise to anticipate the repairs and maintenance that will be needed and save the money in advance to complete them. It will make your life easier and your new tenants happier. Questions: Have you ever moved into a rental unit only to find it dirty and not ready for occupancy? Did the landlord respond to your requests to fix an issue? What other home maintenance issues should a landlord address between tenants? Very good these home maintenance tips will help a lot! Great round up of tips. I’ve been feeling the itch to do some deep spring cleaning. So these are perfect! Yeah I am also disappointed from that landlords who don’t repair their rental homes. For making more money and expending your rental property reputation you have to do all cleanings and repairs of your property. I am a landlord and proud to say that I don’t put anyone in a place that I wouldn’t live in myself. I just finished renovating the kitchen & bath rooms. My next step is to paint the den & replace the crown moulding because he has been there for 6+ years.. I got into a discussion wth a friend of mine and he was saying that I was overdoing it, I don’t think so. My tenant has been with me for 6+ years and he takes care of the property. We’ve had twos incident of negligence in which he was responsible for and the last one he paid for. The property is well maintained and landscape is done each season. One of the things that I emphasize during my showings to prospective tenant(s) that the property is there home & not a rental. I take pride in walking up and seeing that it is the best looking property on the street. painting after 6 years, of course I disagreed. I know every one has a different perspective but wanted to hear your feedback. Thanks for letting me share. Many are fortunate enough to have awesome landlords that take upon repairs, making it their responsibility as they lease the property to a tenant. However, those who are not as fortunate should at least be permitted to provide suggestions to the landlord as long as it can benefit them as well as possible future tenants. Unless the repair requires immediate attention, in that case the tenant should take immediate action to avoid further damage. One of the first advantages of drain cleaning is that you limit the occurrences of clogged drains. Depending on the location of the clogged drain, there are a number of substances that can clog your pipes and render them useless. 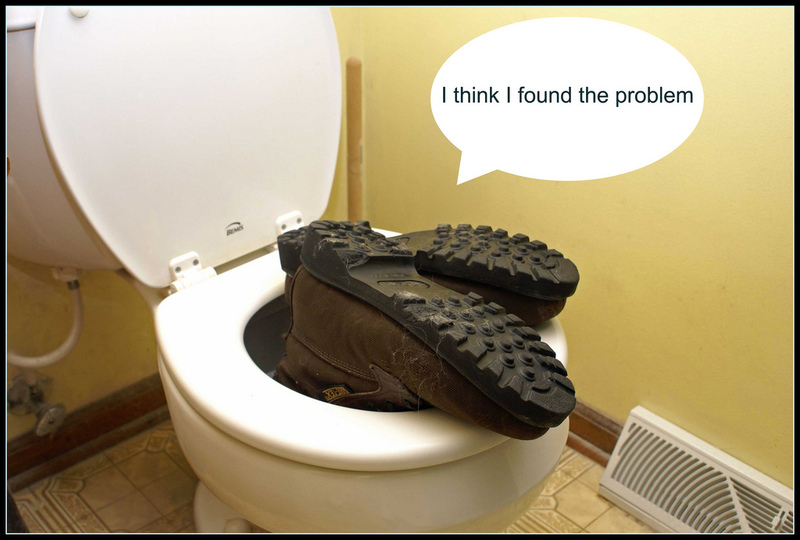 Hair, objects, cooking oil, mineral build up and food are all common causes of clogged drains. I’ve been renting for over ten years and wish I’d read an article like this in the beginning! The part about the plumbing is especially relevant because I’ve had a number of plumbing issues throughout my years as a tenant in various places. After reading this and reading other comments, I’ll definitely be working more closely with my landlords to make sure things are being well taken care of! Maintenance should be done from time to time to avoid bigger problems that you can prevent earlier. And landlords should be reminded of this. Proper plumbing needs also constant maintenance to get longer life span and efficiency. I use to give my landlord such a hard time. He loved me though and we were always cool about little changes I wanted to make in the apartment. Their job must be hard one if they are going to be going into specifics and making sure the place is presentable. I even saw him cleaning the air ducts once and hired some guys to make sure everything with it was working. The smell of the carpet is a big deal to me. I know that there are some owners who replace carpet with hardwood floor to get rid of the smell. I also like when the plumbing is taken care of by the landlord. The carpet is a big deal and I like the idea of moving to hardwood if you aren’t committed to replacing carpet often. And I’d prefer to do the plumbing myself too. A tenant shouldn’t have to be worried about that. Thanks for sharing this advice! As a tenant, I wasn’t sure whether or not I should be paying for new pipes to be installed in the home. We definitely need all of the PVC piping replaced- it is pretty badly damaged, and no water can get through. I’ll be sure to make sure that my landlord covers these costs. “…whether or not I should be paying for new pipes to be installed in the home.” No way…don’t pay for that repair Delores! That is 100% a landlord issue unless you did something intentional to damage them. Id also have a discussion with the tenant exactly what maintenance you expect them to do. you’d be surprised how many don’t know how to change a bulb, replace a smoke alarm battery or oil the squeaky hinges – and if you are a landlord you can’t usually get anything back for your time sorting them out. Some people are fortunate to have great landlords that shoulder repair, taking it as their responsibility cause they leased the space. But, for those who don’t, it might be best to give suggestions to the landlords if it can benefit the majority of the renters. Or if its something that can be done internally, then might as well handle it asap than wait for the landlords to take charge. Damages grow everyday it isn’t handled. I am quite fortunate to have a landlord who pays full attention to problems and respond in no time to get it repaired. This work for both of us as we always pays the rent on time and he always gets the things fixed in case of any problem. Sounds like a great situation for you Joyce. You should feel very fortunate. I’ve never rented before but I’ve heard some horror stories of landlords not sorting out issues especially cleaning a rental before renting again. I think it’s only common sense here that a landlord get the apartment inspected for damage, repairs and cleaning before new tenants move in. It also helps if they want to ask for more money as well. I love the photo on this post too, lol. It’s common sense but so many landlords just don’t put in the time and the money. Doesn’t make sense to me if you want to maintain a clean looking unit long term. “…leaves us alone, but is quick to respond when we have an issue.” That’s ideal and what I try to do with my tenants. I’m not going to micromanage and interfere with their lives. Let them live and if they need me, give me a holler. Having moved recently, we definitely saw a couple of apartments that had not been properly cleaned and updated. We wrote those off immediately. Our current place was already painted and cleaned when we first visited it – ready to move in condition. The landlord so far has responded well to our requests we made so far, which was mainly in the beginning of our first month. Even though I rent, this is our place we call home and I treat it with the same respect that I would if I owned it. I just don’t get renters who abuse their living space. I would think you would want to treat it better if it was NOT your own. Sort of like borrowing a friends car…you’d do anything to keep from getting a scratch on it while in your possession. I love how timely this is for me. I just moved out of my apartment today and have my walkthrough tomorrow. Great things to know here as a renter, too. Do you have a new place already? Was it evident the landlord had done some of these things? I wish all of my landlords had the same way of thinking as you do. Sadly, your ideas are not universal. While some landlords will do a good job, I have moved into some less than pristine conditions. I just want to do right by my tenants. I guess it kind of goes back to The Golden Rule. What would I want/expect if I was in their shoes? How would I want to be treated? I think the one thing that frustrates me the most is that a landlord will take the time to replace things that have gotten old because of general wear and tear when tenant moves out, but ignore his longstanding tenants, like me, who has been in my place 6+ years. The paint is peeling, the window screens are worn, etc, but he won’t bother do any of those things. Is that normal? I hate the idea of investing my own money into any kind of upkeep or repairs, but maybe I have to? I should also mention I get very scared to ask, because my rent has not been raised once since I’ve lived here, so maybe that’s the tradeoff? He shouldn’t raise your rent just because you asked for a repair that should be done anyway. In my mind, the landlord-tenant relationship isn’t like the insurance company-policyholder relationship where if you have a claim your premium gets raised. Tonya, you might want to think of it from a little different perspective. Your landlord simply may not know about the things that you feel are issues and should be replaced. If you don’t speak up, he/she may never know that they’re concerns. After all, you’re the one living there, not the landlord. As long as your requests are reasonable, and as long as you don’t present a list of thirty things all at once, I would think that you could approach your landlord about some of the things that you think should be addressed. From the landlord’s perspective, that would just mean less repair costs down the road, so it really shouldn’t be a problem at all. That’s a good point…I don’t often know about issues unless I’m told. Plus, I get really frustrated if a problem has been going on for awhile and I didn’t know. We had a tenant who had a leaky toilet that over time had splashed too much water on the nearby vanity, thus destroying the wood finish. Had I known early on I may have been able to save the vanity. I would say it’s typical but shouldn’t be the norm. I want to take care of tenants so they will be happy and stay longer. I’m assuming you’ve asked for these to be done? Peeling paint needs to be dealt with and I wouldn’t use any of your own money to paint walls without the go ahead of the landlord. I have stipulated in my contracts that tenants can paint but only after getting approval from me. That being said if they asked me if they could paint, I’d take the responsibility on myself anyway, just to make sure it’s done right. My in-laws tenants are really good, they are renting for almost 7 years now. They take good care of the house, clean the surroundings and even do some repairs. They sound like great tenants, the kind every landlord dreams of. Seven years is quite a long time to rent…I’d love that as a landlord! After owning a home not sure I could ever go back to renting. Maybe for a short time in the right circumstances. Our rental properties are long-term investments so we go out of our way to take great care of them. I hate how renters don’t pull weeds or trim bushes, though. We need to head over to one of our rentals to do that sometime this month. It is in their lease to take care of those things-but they don’t. I’d bring it up to them first before doing the work myself…see if anything happens. I’ve never had an issue with landscaping getting too out of hand. If it occurred, I guess I could use that against my tenants as it’s written into our contracts. Plus, our county Marshall’s offices can enforce/force mowing to take place on a property if a neighbor complains about high grass. Had that happen to me once while we were waiting on a property to close. So I always have that policy to tell the tenants if they lapse on the mowing…mow or get a visit from the Marshall. I have brought it up at least 5 times over 4 years. The problem is that their standards are just lower. And they mow, they just don’t pull weeds. Fortunately, they take okay care of the inside of the home. People look at me like I’m high when I talk about the washability of paint finishes, so I’m glad to see you talk about them. I would add deep cleaning the fridge to your list, and cleaning the coils. A friend once had a filthy fridge to deal with after a landlord told them the kitchen had been totally cleaned. That’s a good one Anne…forgot about cleaning the refrigerator coils. That’s a dust trap behind there. I moved into what I thought would be a great place to live. The apartment looked beautiful. It was in one of those old Victorian houses that had been converted into apartments, but had never lost it’s charm. That’s what I loved about it. What I didn’t realize until it was too late, was that it was a slum. Two months into my lease water started dripping from the ceiling in the second bathroom (the main guest bath). I called and complained but nothing was done. A week latter the ceiling tile started falling down, the light fixture was hanging from the wires and the globe was half full of water. I couldn’t even turn the light on in there because if I did the electrical lines would spark! Several phone calls and a visit to the management office and there were still no resolution. Believe it or not there was even an inspection while all this was taking place and the city inspector said something to the land lord who assured him he had no idea of the problem and it would be taken care of by the end of the week. It wasn’t. At 19 I had no idea what my rights were as a tenant, I stayed there until I was to afraid to be in the apartment. I moved out during the middle of the lease. The landlord threatened to sue me, so my mom paid the last 6 months of rent to the guy. That was after he refused to fix the problem, as well as refuse to let me move back in. The whole thing was a nightmare! There is a difference between maintenance issues that are inconveniences and those that cause danger or impede daily living. Danger of electrical sparks falls in the have-to-fix category in my book. Tenants have rights and it’s wise to read up on those for your specific state before signing a rental agreement.